48hr kick out clause, Buyer has home to sell! 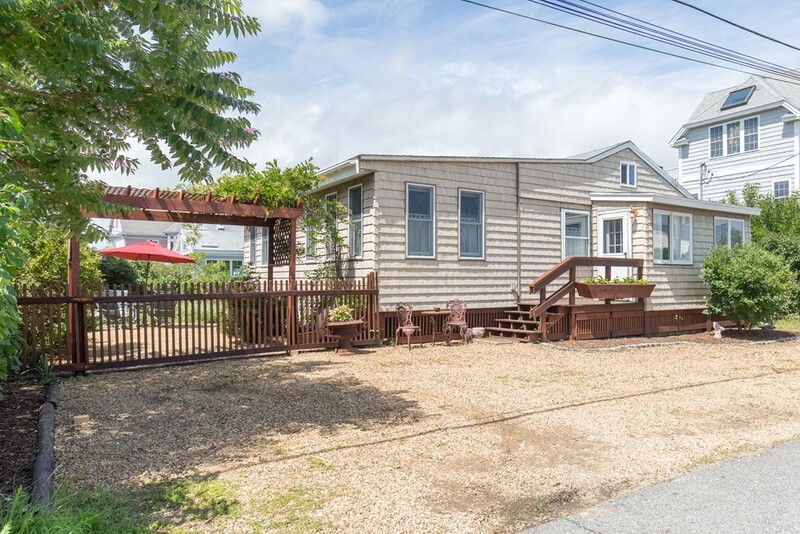 Life is a beach in this charming Plum Island home! Quintessential open floor plan beach cottage w/ peekaboo views of the basin, cathedral beamed ceilings, wood floors & sleeping/storage loft. Turnkey/move in condition - all the big things have been done: new kitchen w/ granite counters, breakfast bar, gas stove, new fridge & new electric panel/baseboard heat, hot water heater & water main pressure tank. Formal dining & den. Efficiently heated w/ wood pellet stove, electric back up, home fully insulated throughout. Vinyl tilt-in windows. Enjoy Island breezes in the fenced back yard oasis w/ vegetable garden, mature plantings: Weigela, Wisteria, Daisys, Beach Plum, Lavender, etc. Unheated 3 season front porch & back bonus rm. Only 1 block from right of way access to load your kayak into the basin! Assessed as 2 bed home, seller currently using 1 as a den, just would need french doors again. 4 car parking w/ swinging yard gate for 5th car!